HEAD-TO-HEAD: Can Dons continue their League Cup run? MK Dons will be keen to pick up their first win of the season when they take on Forest Green Rovers in the Carabao Cup on Tuesday night. While the name of the competition has changed several times over the years, Dons' tradition of making it through the first round extends back as far as 2010. 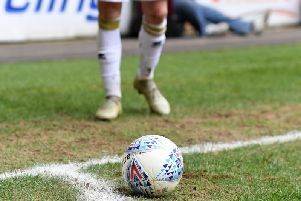 Wins over Dagenham & Redbridge, Cheltenham (twice), Northampton, AFC Wimbledon, Leyton Orient and Newport County have all fallen victim to Dons' strong runs in the competition over the years. But after losing to Wigan on the opening day of the season, going down 1-0 to Nick Powell's strike after 38 minutes, Robbie Neilson's side are keen to get their season up and running with victory over Rovers at The New Lawn in the first meeting between the two sides. After the defeat, Neilson confirmed he'd be playing "a strong team - we want to go as far as we can." Mark Cooper's side made a solid start to life in the Football League, drawing 2-2 with Barnet.